Welcome to Save On Kitchens, Inc.
Kitchens and bathrooms are most likely to be at the top of most homeowners’ lists of rooms to remodel. 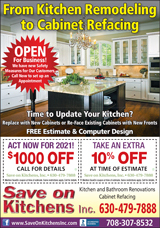 Save On Kitchens, Inc., is a kitchen and bathroom remodeling contractor serving residential and commercial clients. 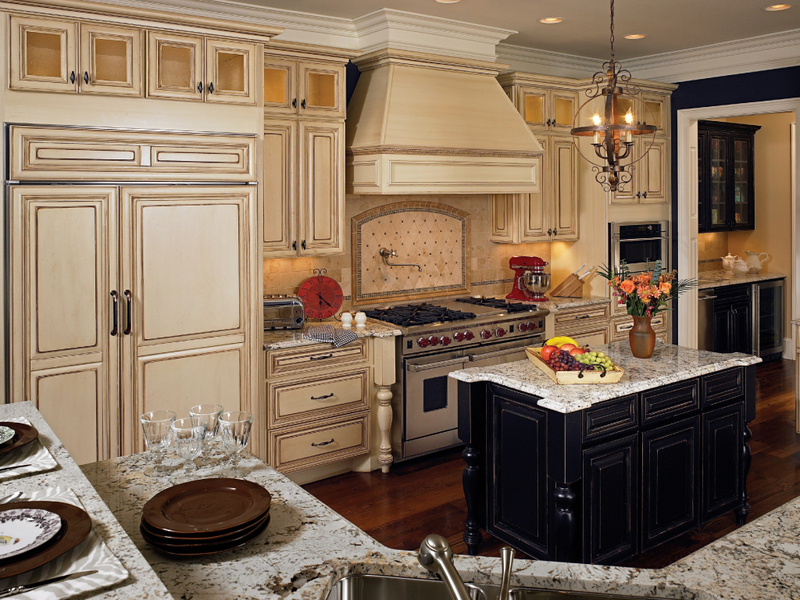 We have been creating dream kitchens and baths for more than 20 years. Our insured and bonded professionals will visit your home, make suggestions, create a computer design, and give you a free estimate. 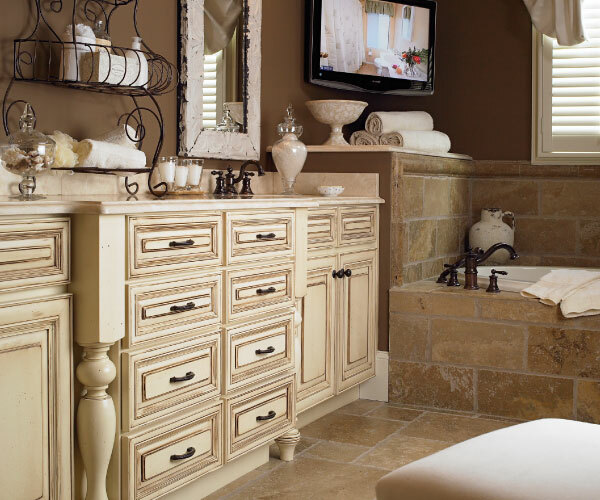 Let us design your kitchen and bath in the comfort of your own home! 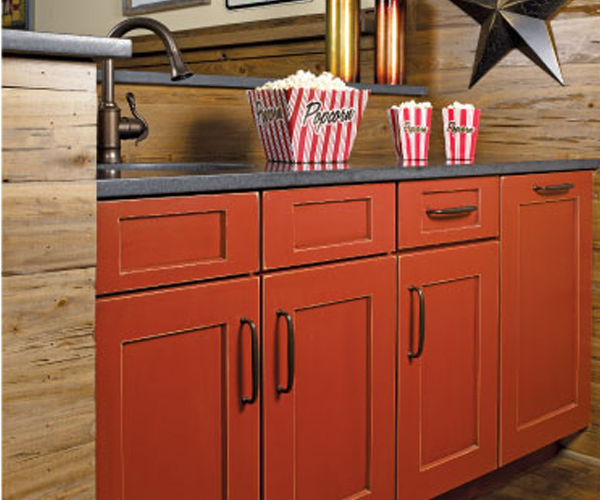 We can supply cabinetry for your project. service and get started with your service. 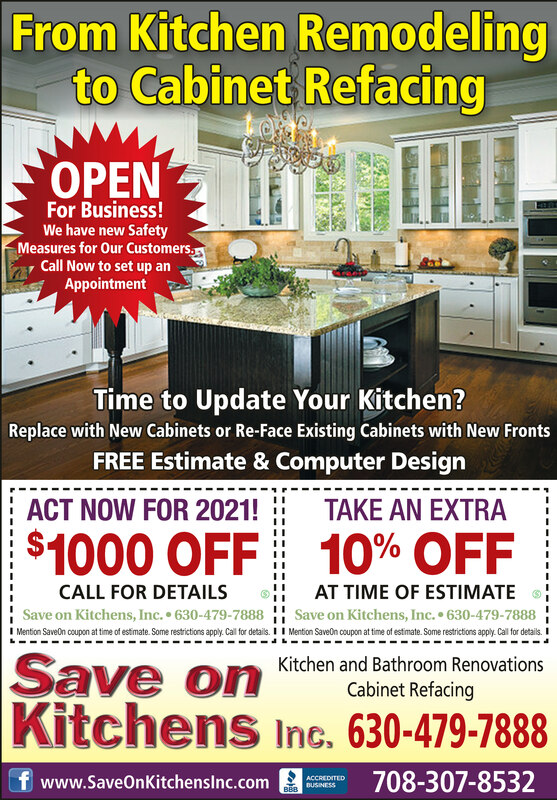 Save On Kitchens, Inc. in Streamwood, IL welcomes client feedback on the remodeling projects we have completed. We are gathering customer testimonials about our remodeling work. 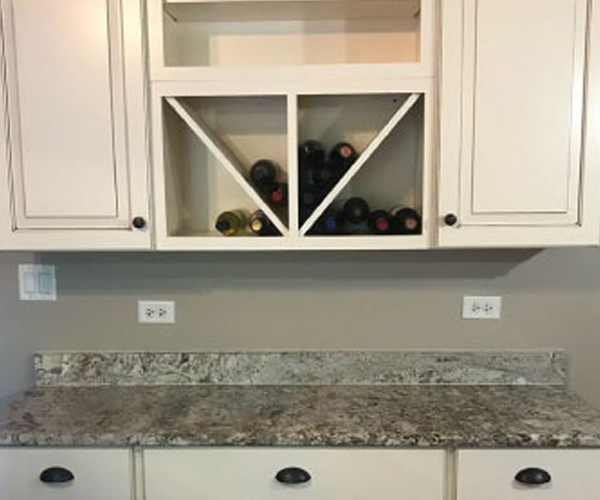 Check back soon to see what our satisfied customers have had to say about our remodels and cabinet refacing.